Featuring Master Lock Model No. 6230 ProSeries® Solid Steel Rekeyable Padlock, Master Lock Model No. 7045 ProSeries® Shrouded Solid Steel Rekeyable Padlock, and Master Lock No. 7050 ProSeries® Solid Steel Rekeyable Padlock. What is a ProSeries® High Security- Solid Steel Padlock? The Master Lock Company currently manufactures six Solid Steel ProSeries® Padlocks: No. 6230, No. 7030, No. 7035, No. 7040, No. 7045, and No. 7050. These premium security solid steel padlocks are the strongest metal Master Lock® utilizes to manufacture padlocks. The heavy solid steel body is reinforced with chrome rustproofing to create a weather resistant finish. The No. 7030, No. 7040, and No. 7050 are all standard solid steel bodied padlocks, only varying in their body dimensions and shackle height. The No. 6230 is a rounded solid steel padlock. By adding girth to the padlock body the rounded shape provides extra security than the standard rectangular padlock. Finally, the No. 7035 and No. 7045 feature a shrouded shackle. The shroud, which is an added cover to protect the shackle, deters unauthorized entry. 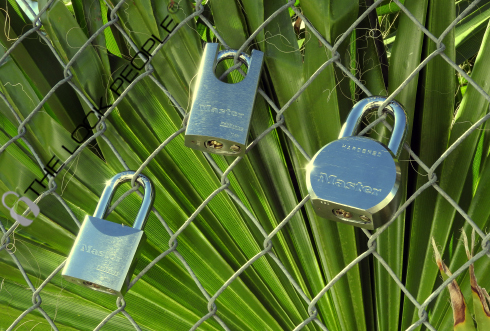 Master Lock ProSeries® Solid Steel Padlocks are chrome plated. Not only does the chrome plating create a visually appealing finish, but it also provides extra security and is corrosive resistant. Even though Chrome is great for plating, you will not find padlocks or other items made out of solid Chromium. Chromium alone is a hard but brittle metal that needs to be partnered with a more substantial metal like steel for the ending product to be useful. These Solid Steel Padlocks are a part of Master Lock’s ProSeries®, a high security padlock line ideal for industrial and commercial use. ProSeries® padlocks feature hardened boron alloy shackles for superior cut resistance, dual ball bearing locking mechanism that resists pulling and prying, 5-pin & 6-pin cylinders, spool pins, and rekeyable cylinders.